Just when you think Funko has run out of ways to Pop up Harry Potter, they go and release another big wave of figures. 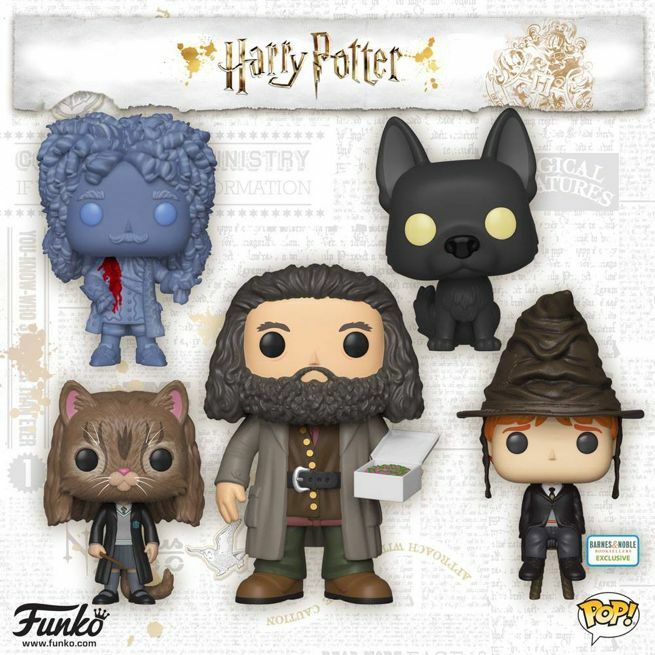 Actually, the latest wave includes some awesome additions like Hedwig, Ron with a howler, the Bloody Baron, Dobby snapping his fingers, a Ron riding a chess piece Movie Moments figure, Sirius in animagus dog form, and more. 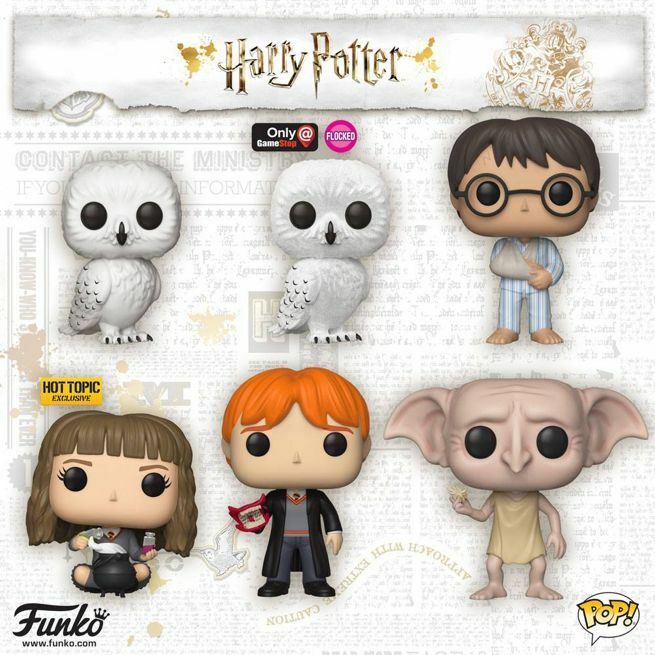 You can pre-order the entire collection of new Harry Potter Pop figures via the links below, as well as new Vynl 2-packs of Harry / Dobby and Bellatrix / Voldemort. You'll also find brand new Fantastic Beasts Pop figures of Nagini and Zouwu! As far as exclusives are concerned, look for Seamus Finnigan and Minerva McGonagall at Books a Million, Sorting Hat Ron Weasley at Barnes & Noble, a flocked version of Hedwig at GameStop, and Potions Hermione Granger at Hot Topic. Those figures should arrive in their respective stores sometime this month. 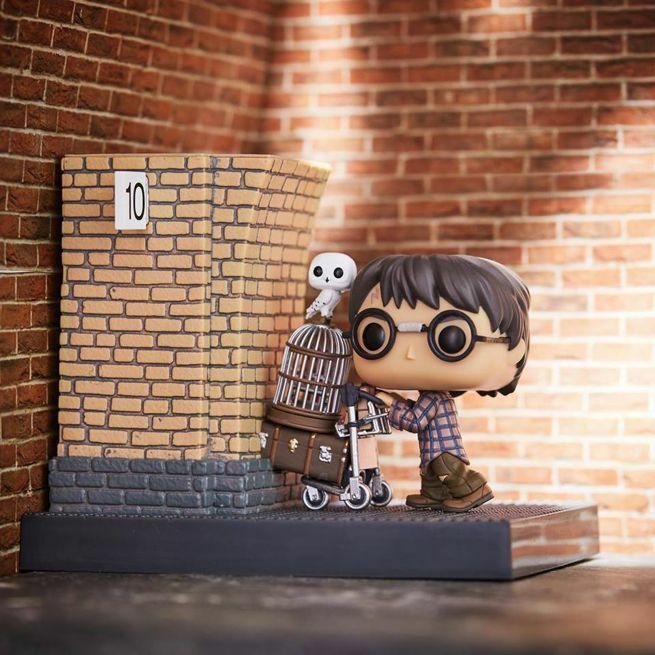 On a related note, BoxLunch recently launched their exclusive Funko Movie Moments Pop figure depicting Harry Potter making his first journey onto Platform 9 3/4 in Harry Potter and the Sorcerer's Stone! Amazingly, they could still be ordered at the time of writing. Get one for yourself right here before they disappear. The chances of a sell out are very high on this one. 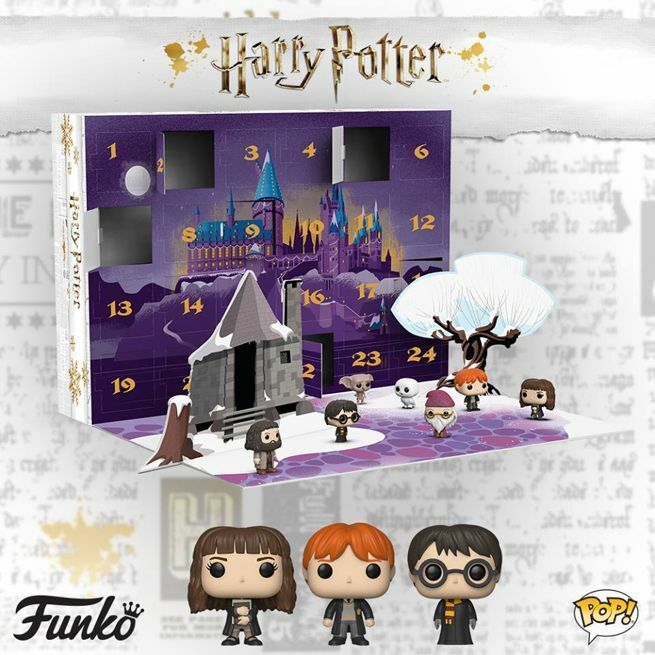 Finally, Funko's adorable Harry Potter pocket Pop figure advent calendar appears to be sold out everywhere. If you really want this set, it looks like third party sellers on sites like eBay are the only game in town. The set includes 24 figures - which haven't been fully revealed - but the image confirms that Harry Potter, Hermione Granger, Ron Weasley, Hagrid, Dobby, Dumbledore, and Hedwig will be among them.